The Southeast Lectora User Group, or S.L.U.G., is a recently founded Lectora user group designed to host discussions and act as a central location for Lectora users to connect. Don’t live in the Southeast? No problem! Anyone is welcome to join! Still plugging away with Lectora. Found an interesting occurrence and wondered if anyone else has experienced this? On the margin area outside the workspace, some green rectangles and small dots have appeared. This is in the grey margin areas. Any idea why this happened and how to get rid of it? Hello Niomi! 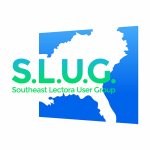 Thank you for joining the Southeast Lectora User Group! How long have you been using Lectora? About 2 months now. Still trying to get up to speed with this product. How about you? 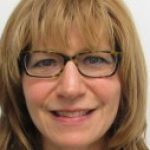 How long have you been using Lectora? I myself am not a Lectora developer. However, the company I work for has been using Lectora for our e-learning development projects for many years now. Are you located here in the southeast? We are based out of the Atlanta area. Southeast relatively speaking. I’m in the northern most southern state, Maryland.